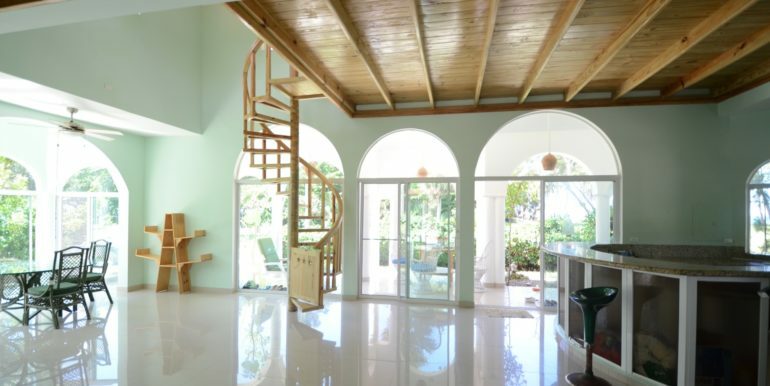 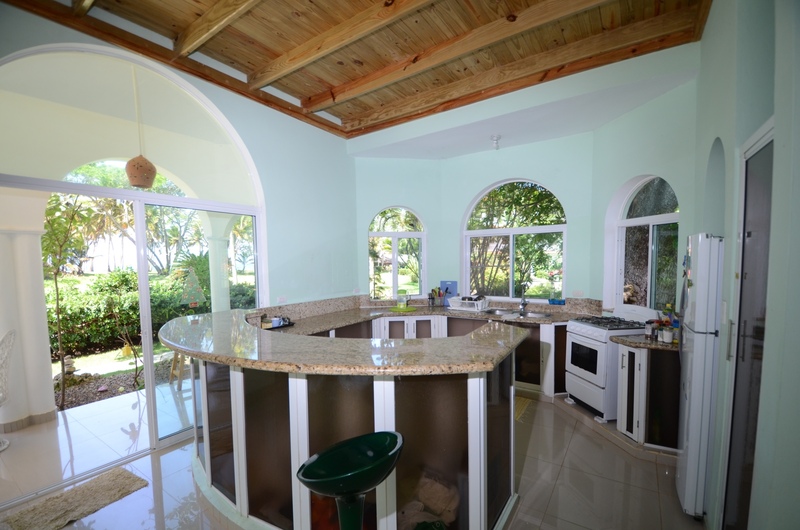 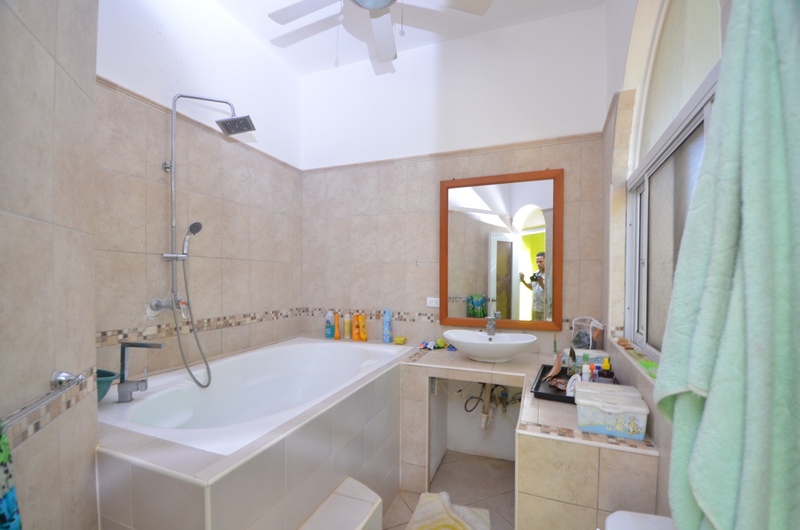 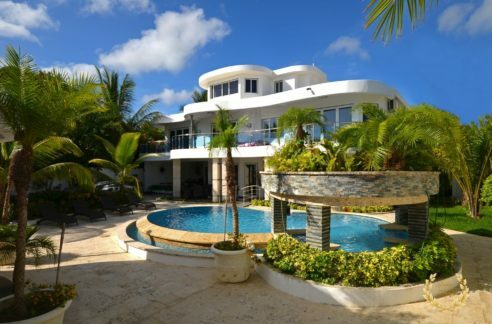 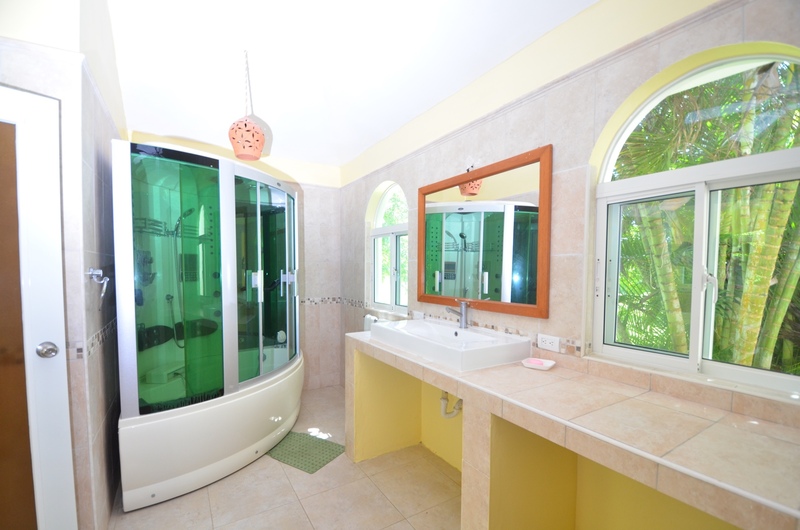 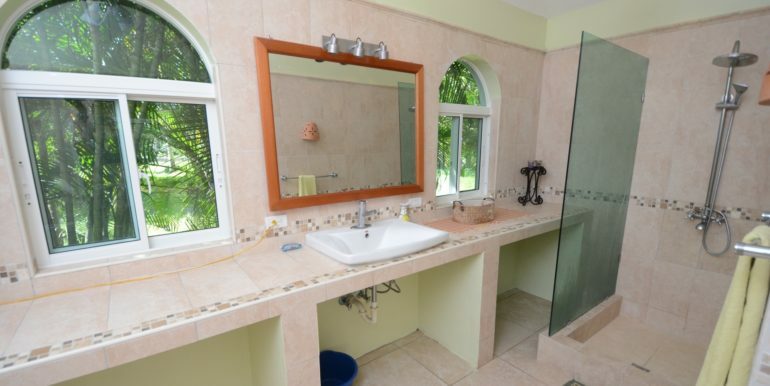 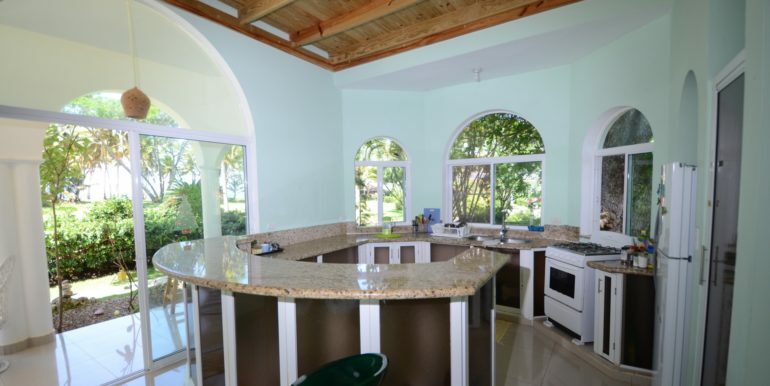 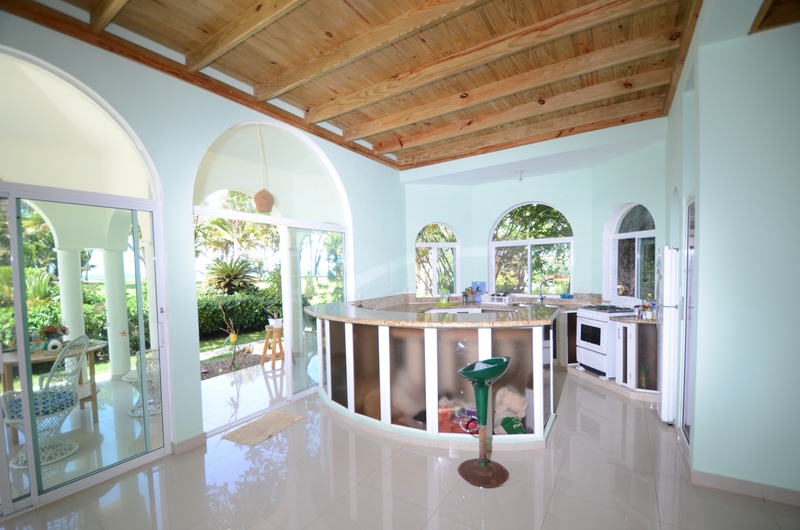 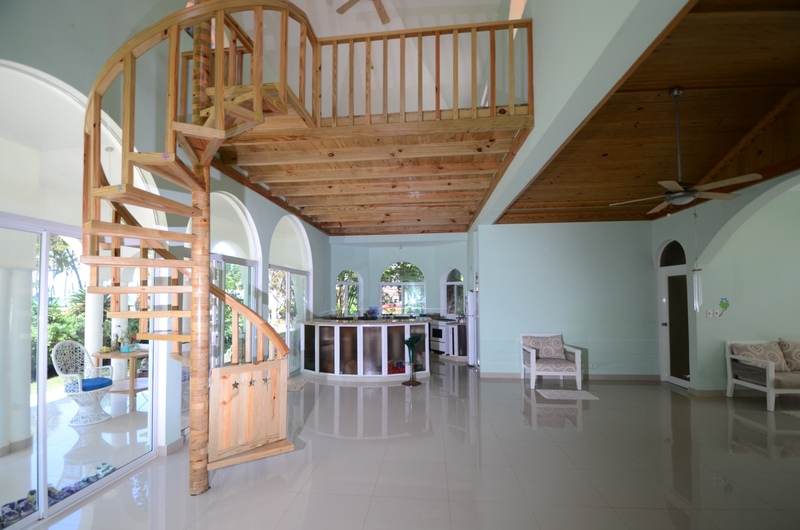 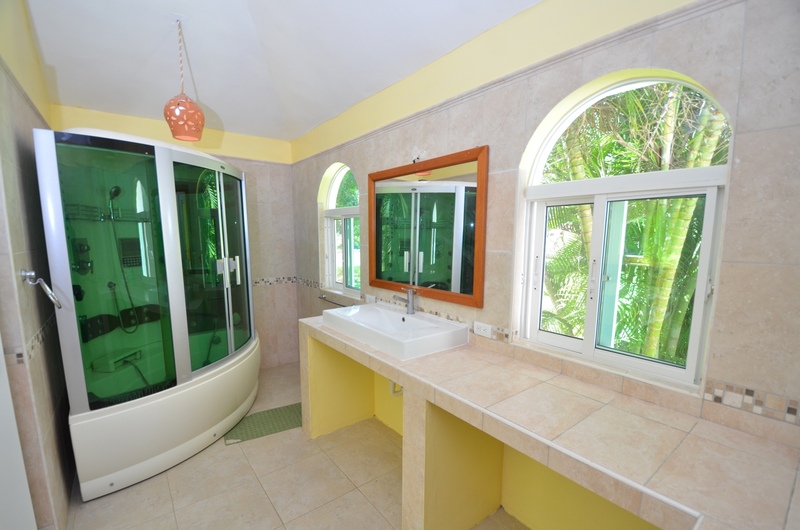 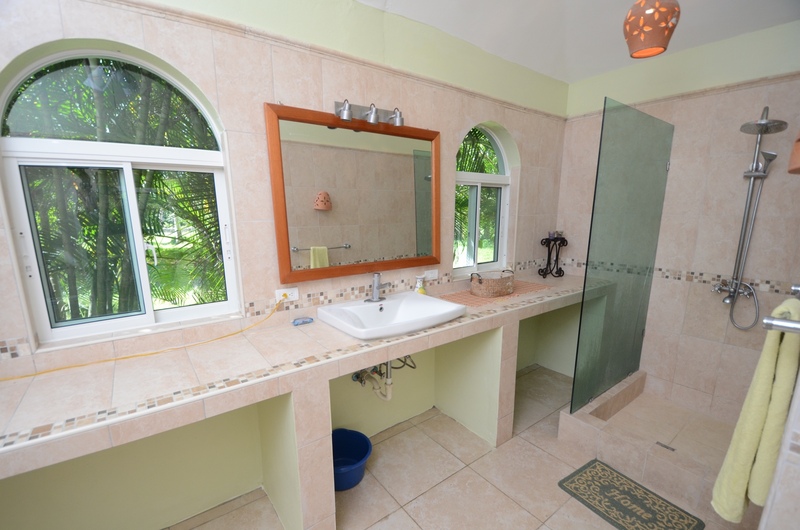 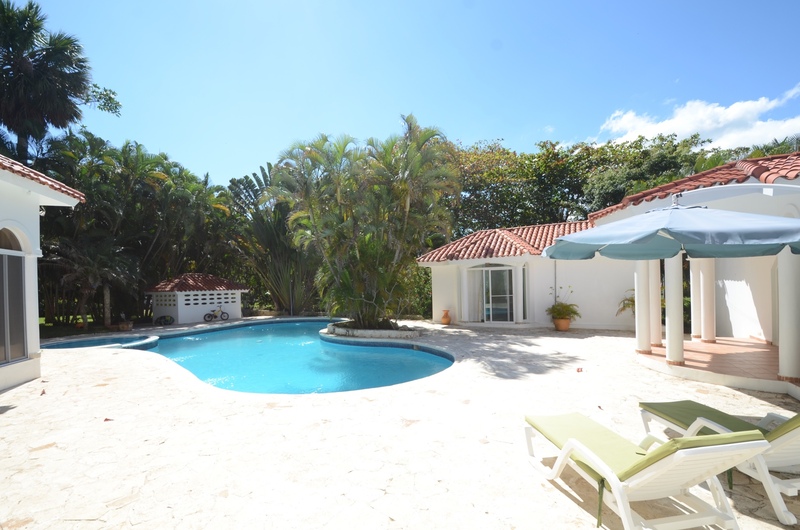 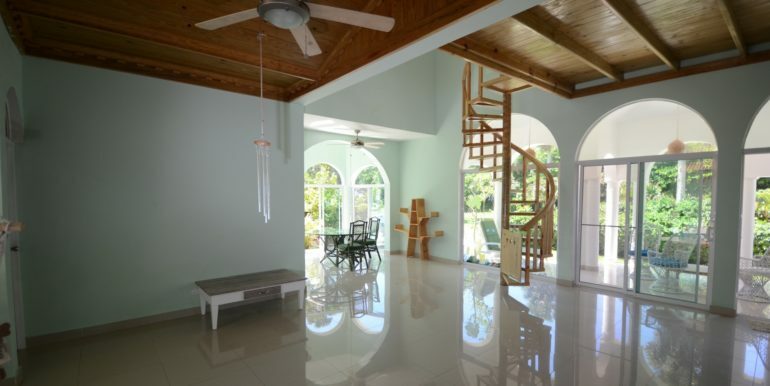 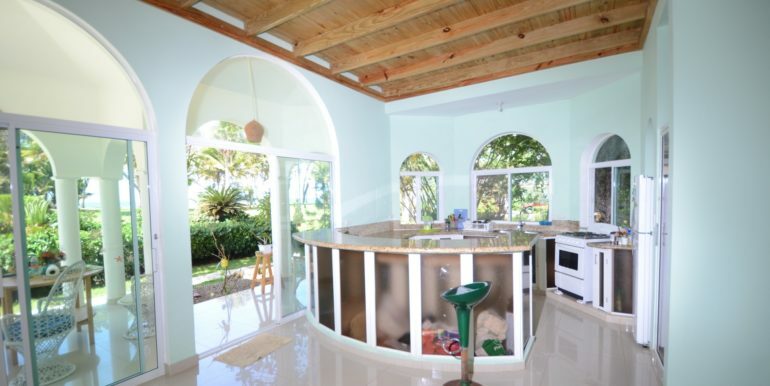 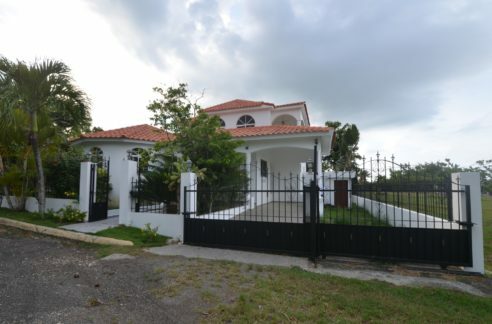 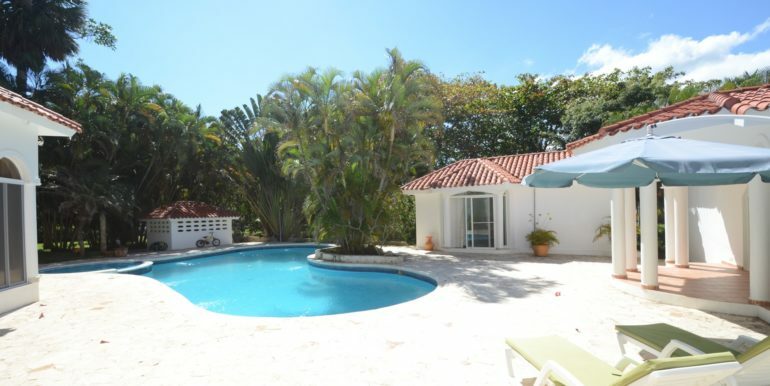 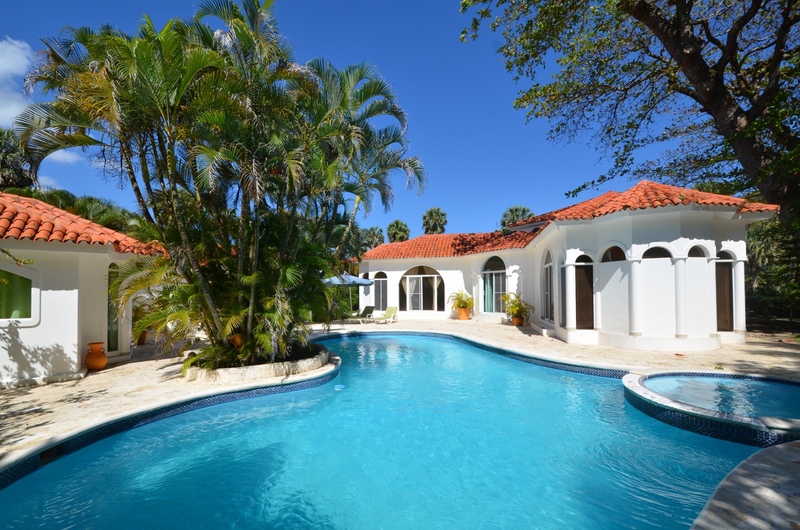 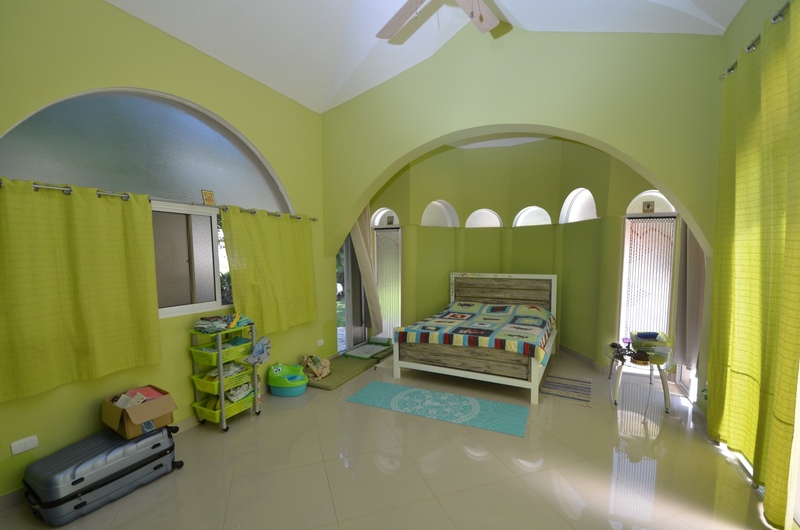 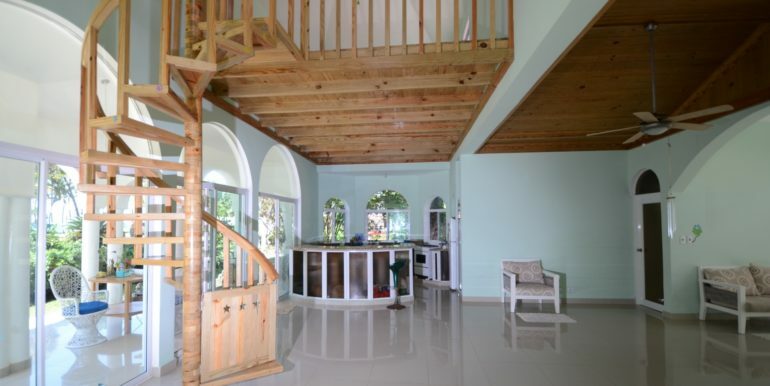 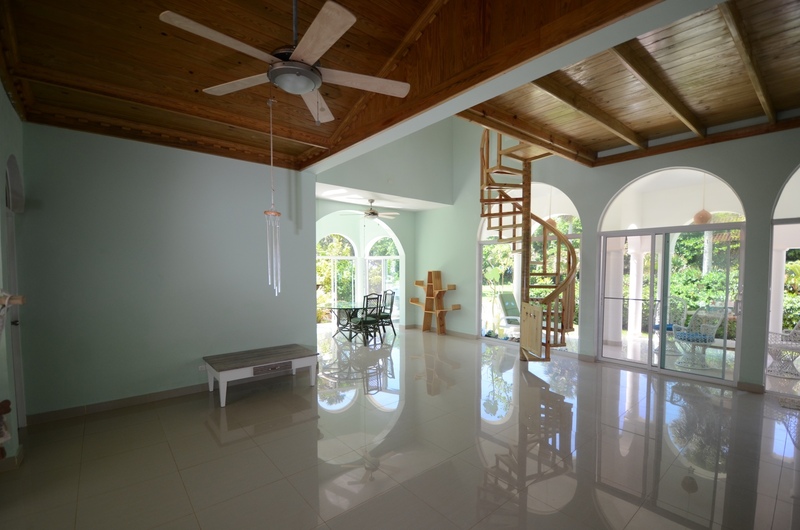 One of the best villas for sale in a beachfront residential in Cabarete. 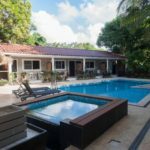 4 bedrooms with private bathrooms, granite top and fine wooden cabinets in the kitchen, large living room, dining area and exquisitely large swimming pool. 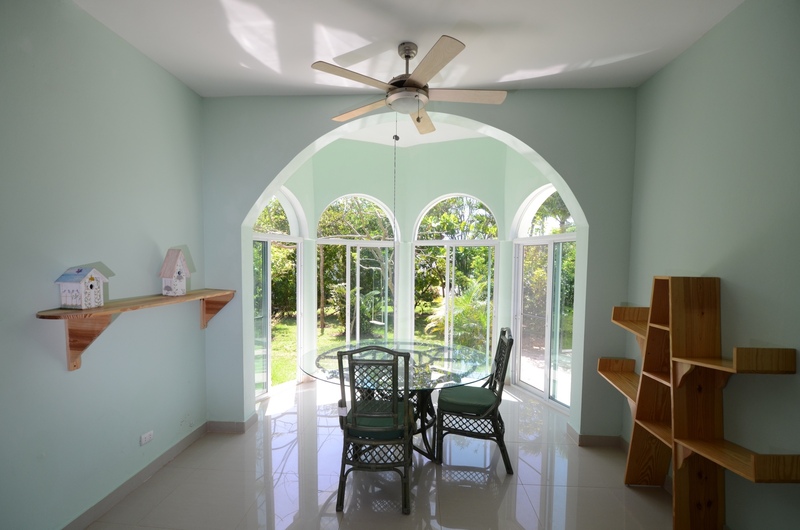 This is a classic style villa where wooden louvered windows were replaced with sliding aluminum ones, which brings a more modern look to it. 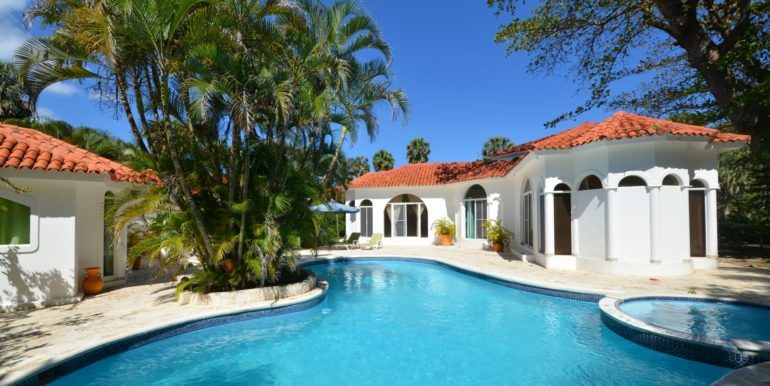 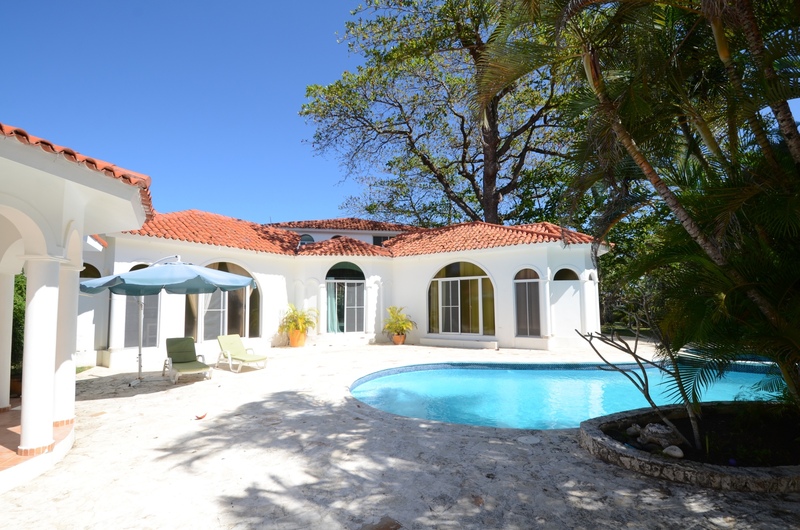 The design layout has a main house and two bungalow-type large rooms with bathrooms around the pool area. 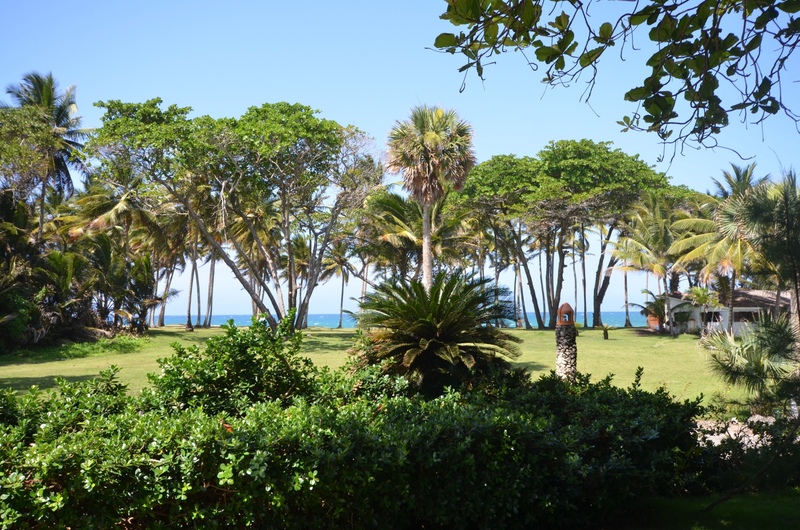 Access to the beach is just a few meters away, and the golden sands stretch for several kilometers. 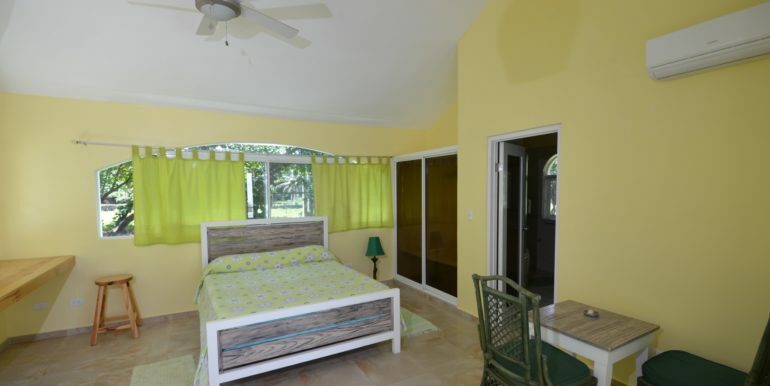 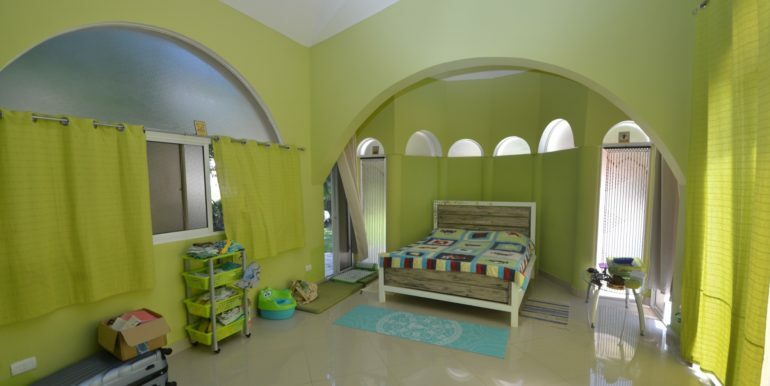 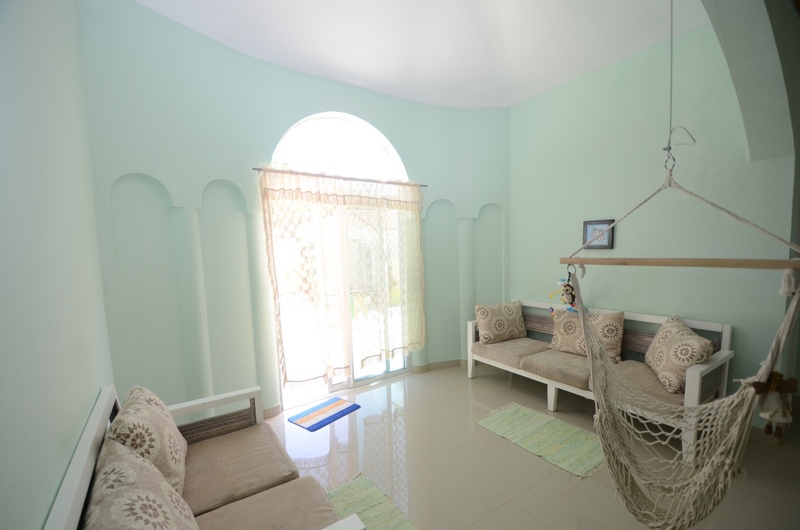 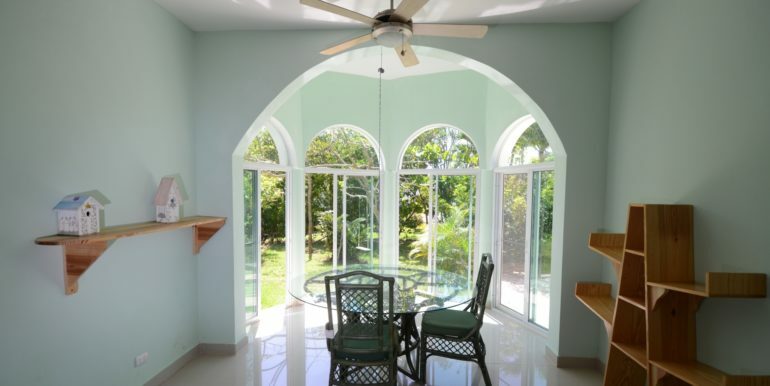 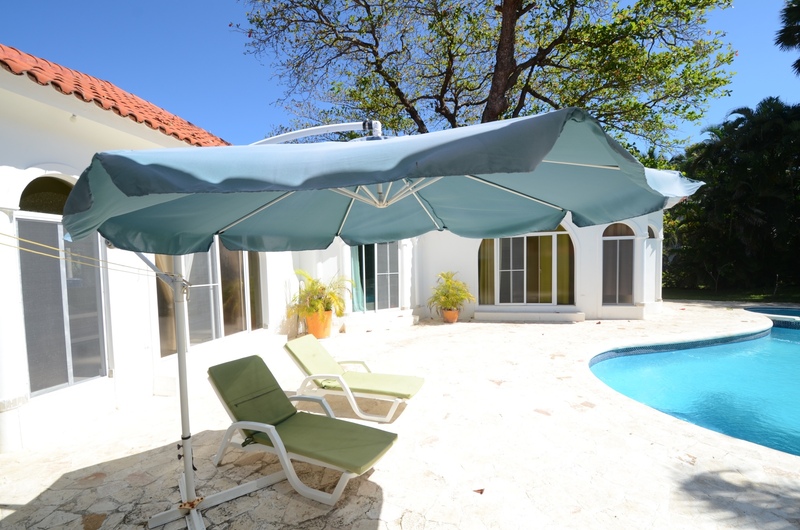 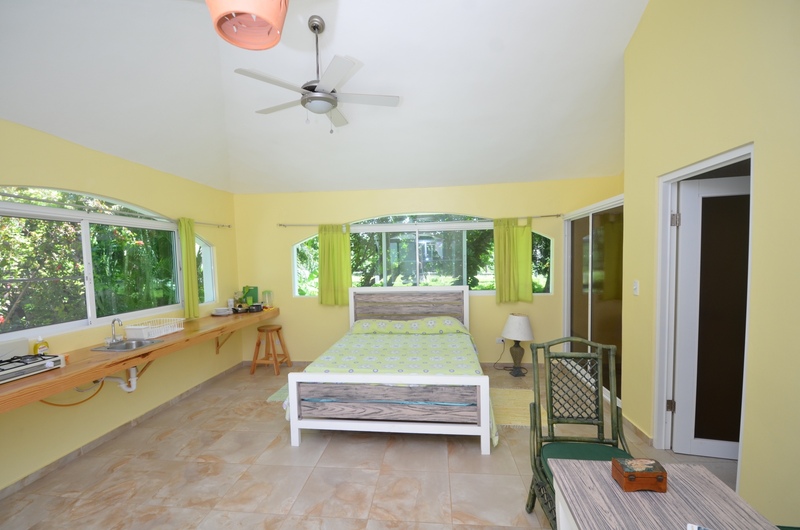 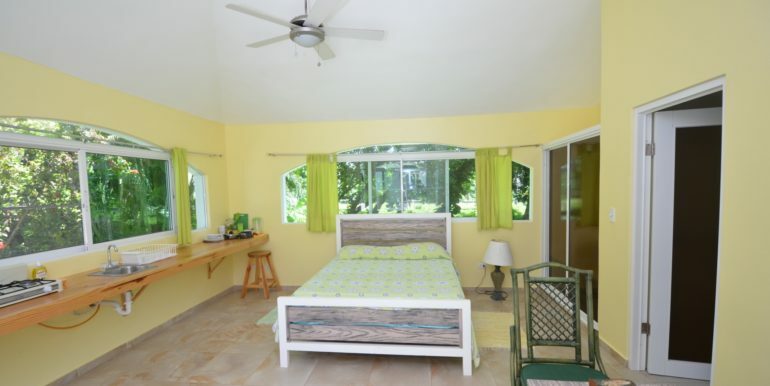 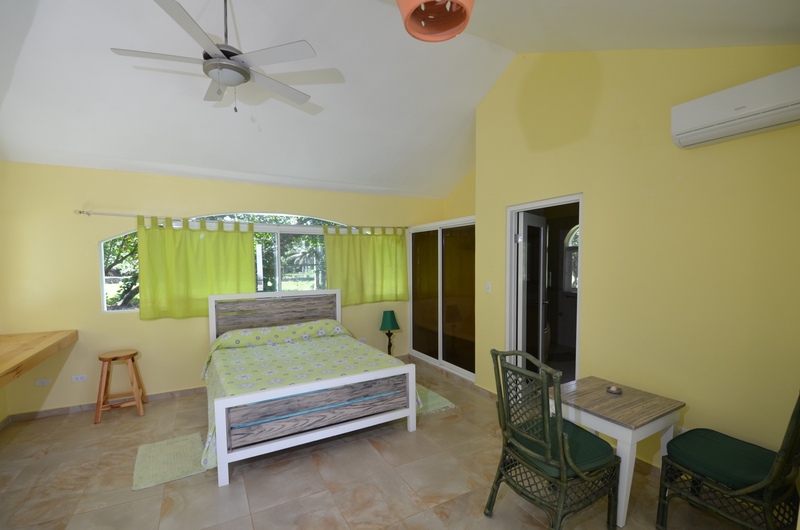 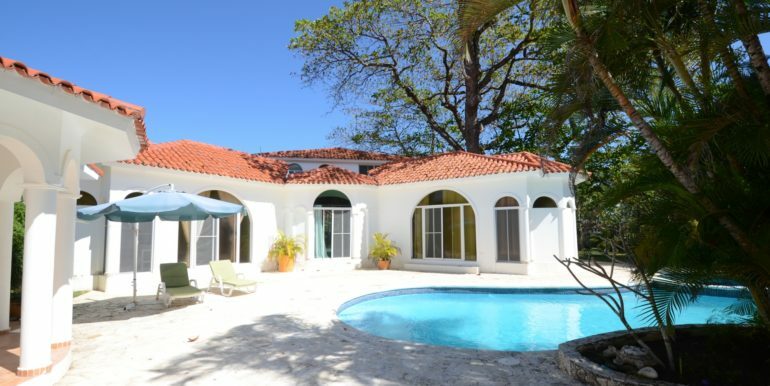 The villa has air conditioning in all the suites and the living room too, also wifi, phone, cable and other services. 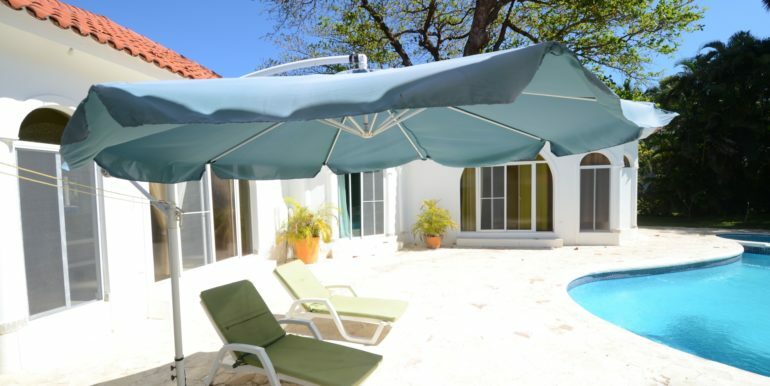 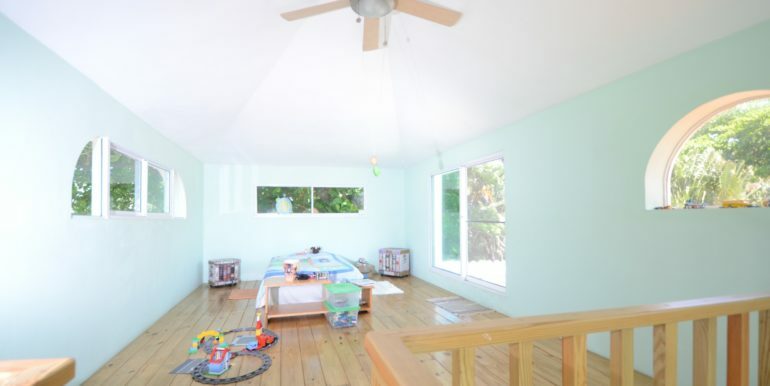 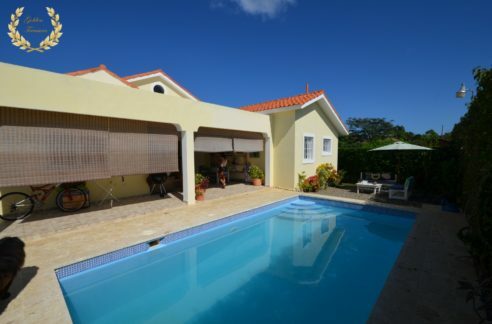 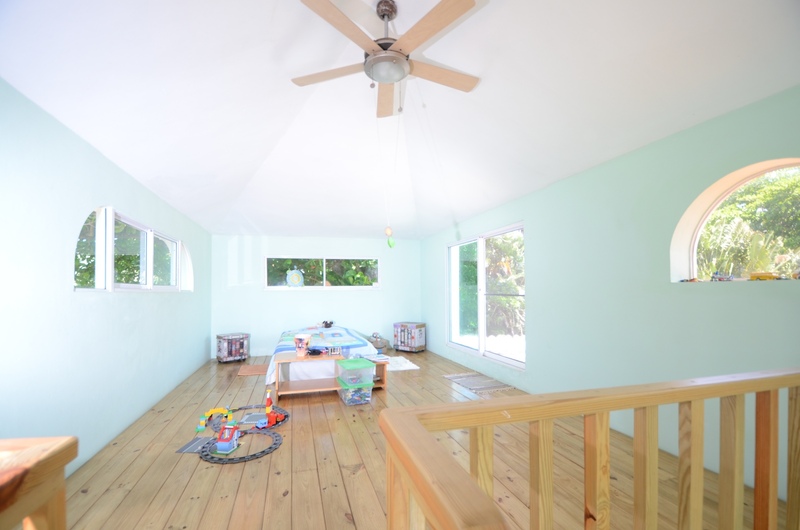 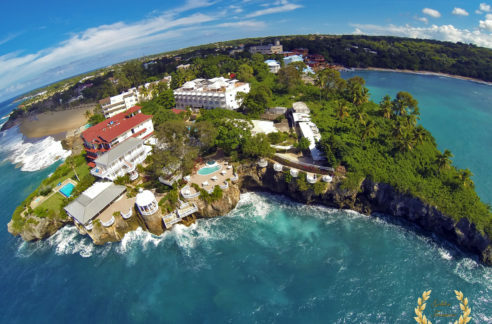 The location is a quiet residential beach area with 24hrs security and onsite management services. 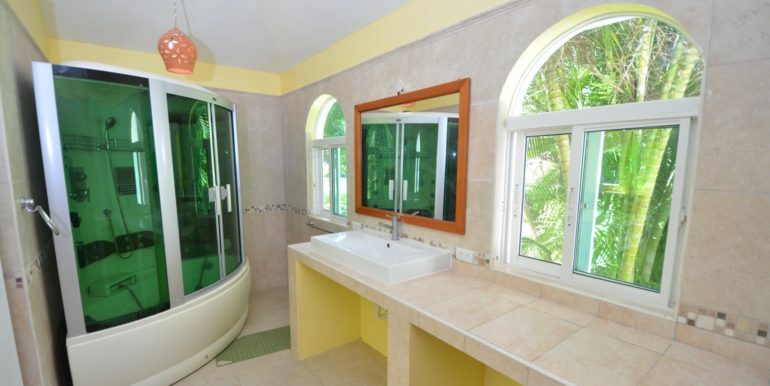 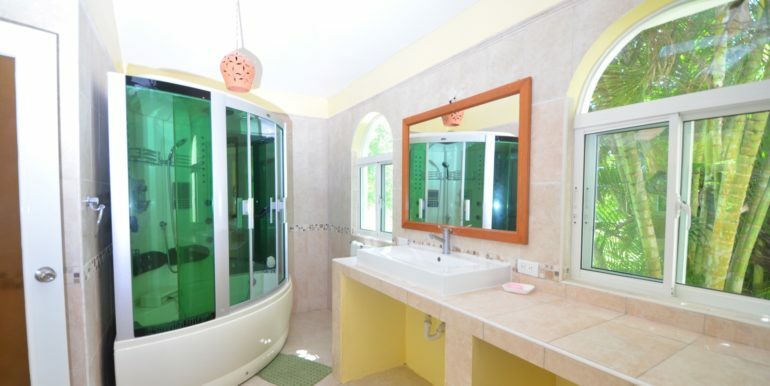 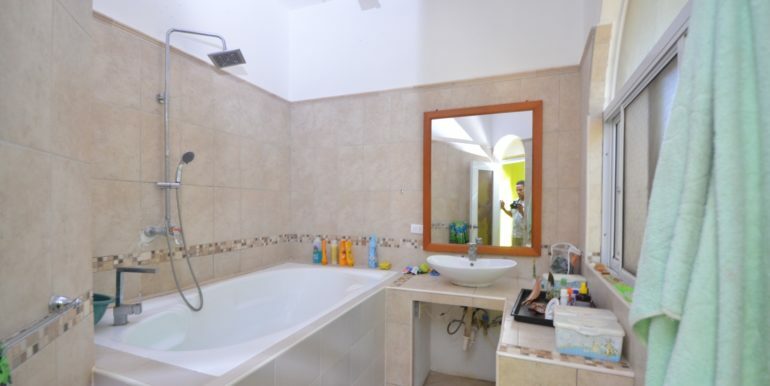 All the bedrooms have their own bathroom. 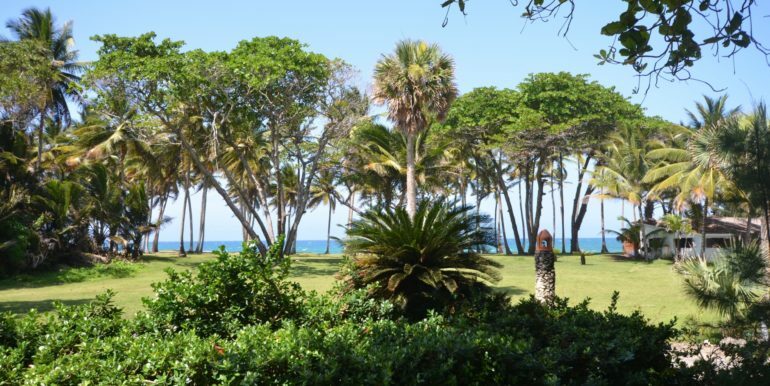 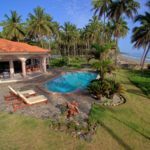 Being that close to Cabarete and Sosua and yet such a quiet, serene living is a great incentive to own this beautiful beach front property. 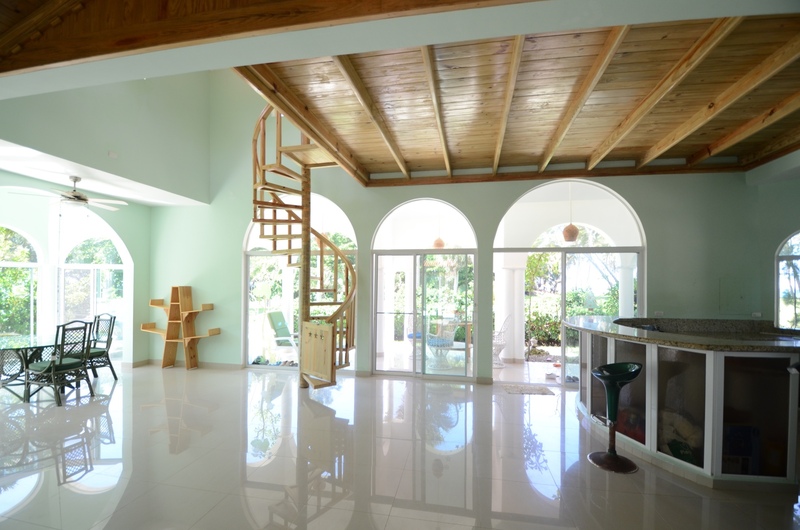 A mezzanine room was added more recently, adding an extra room area for children, office use, etc.